Why do the members of the I.H.M. use the Therapeutic Pocket Book? The Therapeutic Pocket Book was the most popular and useful repertory for nearly fifty years after being released in 1846. Sadly, as people moved away from the Hahnemannian method of prescribing, the ability to use the TPB or even understand its simple methodology got lost. It opened the door for the Swedenborg inspired works of Kent and Hering to enter into the schools and colleges, ultimately to the hindrance of our practice, and the precursor to the wild and fantastical methods employed by some under the name of homoeopathy. Boenninghausen, the developer of the repertory, worked closely with Hahnemann in order to find out the method Hahnemann employed in his search for a medicine that would cure a patient. After observing many cases, after using the medicines on himself during sickness, and after using the method on others with excellent results, Boenninghausen worked on putting together rubrics as a guide to the Materia Medica. His initial attempts produced several books that were unwieldy in operation. Ten years later, Boenninghausen had worked out a method for producing complete symptoms with the criteria of location, sensation and modalities by splitting a symptom in the Materia Medica into its components, so it could be reconstituted by combination. In this way, each symptom can be recompiled without having to look for the EXACT symptom in a repertory or the Materia Medica. This synthetic approach has proven itself to be accurate and useful and always leads to medicines for consideration for prescribing that contain the symptoms that were being examined. It also allows for remedies to be considered where perhaps the modality or sensation is NOT found under the location, but is a characteristic of the remedy in general in other locations, enough to suggest that if the proving had continued, that characteristic may have been in EVERY location. 90% of getting the remedy is in the accurate case taking. 5% is choosing which symptoms to take as prescribing symptoms, and the remaining 5% is choosing the right rubrics to lead to medicines for consideration. Some say ‘but there are only 125 medicines contained within the work?’ That is true, however in practice, it has been our experience to see remedies that would NOT have been considered for a particular problem have a curative effect due to Boenninghausen and Hahnemanns knowledge of the Materia Medica having been transposed in the repertory for consideration in choosing. The Swiss report found a particularly strong body of evidence to support the homeopathic treatment of Upper Respiratory Tract Infections and Respiratory Allergies. The report cited 29 studies in “Upper Respiratory Tract Infections/AllergicReactions,” of which 24 studies found a positive result in favor of homeopathy. Further, six out of seven controlled studies that compared homeopathic treatment with conventional medical treatment showed that homeopathy to be more effective than conventional medical interventions (the one other trial found homeopathic treatment to be equivalent to conventional medical treatment). All of these results from homeopathic treatment came without the side effects common to conventional drug treatment. In evaluating only the randomized placebo controlled trials, 12 out of 16 studies showed a positive result in favor of homeopathy. Prescribing on well indicated symptoms. This combined issue is dedicated to George Vithoulkas recognizing the enormous contribution made by him for propagating Homoeopathy, with contributions by Vassilis Ghegas, Alfons Geukons and Roger Morrison, his able disciples. The major portion is the interview with Vithoulkas by the editors of the Journal and its fallout. Vithoulkas has deprecated the attempts by some noted Homoeopaths for advocating new theories, approaches and methods of proving. In particular he castigated Dr Rajan Sankaran and Jan Scholten. He says “Sankaran and Jan Scholten alone has done more harm to Homoeopathy than all the enemies of Homoeopathy together with all the nonsense that they circulate” The interview is full of such venomous attack on fellow Homoeopaths, something one would normally not expect from a mature, senior Homoeopath like Vithoulkas. If criticism, it should be an informed and constructive one after reading and understanding the works of these Homoeopaths. It leaves a bad taste. The interview leaves an uneasy taste and a little sad, since they are unfounded, have not violated the fundamental principles of Homoeopathy. The synthetic prescriptions advocated by Dr Jan Scholten is nothing new. Even ICR, as early as 1978 did lot of pioneering work on this. Of course, the aggrieved homoeopaths and others have rebutted Vithoulkas in no uncertain terms. These are published in the next issue along with an assuaging reply by the editors. In a moving tribute, Dr Roger Morrison writes about his experiences in learning homoeopathy from Mr Vithoulkas. He says that Vithoulkas’s results in his practice were beyond any results that he had observed by any other practitioner. There were, in his view, hundreds of miraculous cures. A Government official was suffering from a severe form of psoriasis; every inch of his skin was covered with whitish scales though the whole skin was purplish underneath. The itching was terrible. After a relatively short interview, Vithoulkas prescribed Phytolacca saying that purplish hue of the lesions matched his previous experience with that remedy. Within two weeks the skin resumed its normal appearance. In another case Dr Morrison while studying under Vithoulkas had prescribed Ars to a child with severe eczema. After some improvement for some months there was a relapse and after careful case taking again Dr Morrison prescribed Sulphur as the complementary remedy but by next day there was severe aggravation and the child was covered with an oozing rash. The child felt awful and hysterical with the itching and parents were desperate. Despite requests from Morrison to see and prescribe Phos, Vithoulkas asked him to wait and remarked that if one prescribed before the next remedy was clear one would lose the case. The next day at the insistence of the parents of the boy Vithoulkas found that the boy was afraid to be alone because he would die. The prescription was Ars 1M potency. Within 3 days the skin was almost perfectly clear and the child needed no more remedies. Another case of a businessman who developed severe complications after surgery resulting in drug resistant septicaemia and renal failure. He was in coma and Vithoulkas was consulted. With Opium the patient became semi-conscious and later Sulphur. The patient started talking with muttering delirium. It did not respond to Lach but after questioning the attending nurse, who said that the patient was using shocking language, he prescribed Hyos and the patient returned to normal consciousness. Dr Bill Gray discusses a case: a 31 yr old woman having hiatal hernia, food allergies, hemorrhoids and carpal tunnel syndrome and easy tendency to sprain her ankles or wrists or injury to her knee or other bony structures in. She was too conscientious, perfectionist and people pleasing. She was cured with a small remedy Actea-spicata as she did not earlier respond fully to Rhus-tox, though it was indicated and given in varying potencies over a 2 yr period. Actea-spicata is a rheumatic remedy similar to Rhus-tox, both < cold, damp weather and have joint pains. Actea-s is agg motion unlike Rhus-t > continued motion and specially affects small joints (fingers, wrists and ankles), has easy spraining of joints and ligaments. This patient was frequently involved in auto accidents: dashed against other cars or was dashed on the broadside. On the mental side: tries to please her bosses and husband and consequent resentment of not being appreciated. In her case even the poison oak she had on her lips, responded to the remedy confirming that the constitutional remedy should act as well in acutes. In chronic diseases the investigation of the signs of disease above mentioned, and of all others, must be pursued as carefully and circumstantially as possible, and the most minute peculiarities must be attended to , partly because in these diseases they are the most characteristic and least resemble those of acute diseases, and if a cure is to be effected they cannot be too accurately noted; partly because the patients become so used to their long sufferings that they pay little or no heed to the lesser accessory symptoms, which are often very pregnant with meaning (characteristic) — often very useful in determining the choice of the remedy–and regard them almost as a necessary part of their condition, almost as health, the real feeling of which they have well-nigh forgotten in their sometimes fifteen or twenty years of suffering, and they can scarcely bring themselves to believe that these accessory symptoms, these greater or lesser deviations from the healthy state, can have any connection with their principal malady. On this basis then, a CONCOMITANT is a complete symptom which itself comprises of these three parts. It is this/these symptom/s that is present during/with/alternating) with the main complaint which often determines the choice of remedy/ies to consider during an analysis and OFTEN is the key to the prescription. Use of a concomitant determines the CASE. Aphorism 95 makes this very clear. So even at that time, 166 years ago, Hahnemann expressed concern that people were using the repertory as a shortcut to finding the remedy, without bothering to look further in the materia medica for the remedy. After Bonninghausen’s repertory came the Jahr Repertory in 1834. I was amazed to learn that the Lippe Repertory in 1879 was the first new repertory in 45 years. It was this repertory of Lippe that was further modified by E.J. Lee (who published the Mind section in 1889) and that eventually formed the conceptual base of Kent’s Repertory in 1897. Winston briefly discussed a few other repertories that appeared at the time of Kent—the Concordance of Gentry (in six volumes), the Symptom Register of T.F. Allen, and the Repertory of the Guiding Symptoms compiled by Calvin B. Knerr. The most important point that Winston made was the need to see the repertory as a flawed tool that should not always be taken at face value. To stress this point, he mentioned several examples, but the one that really struck me was the rubric in Kent’s Repertory, “Mind, Fear, destination, of being unable to reach his,” and the single remedy it contains: Lycopodium. “Someone on the lyghtforce [e-mail] list asked if this was a proving symptom, so I searched it out,” said Winston. He found it in Allen’s Encyclopedia under “Generals.” The symptom is: “Weariness and exhaustion while walking, so that he feared that he would be unable to reach his destination, at 5 p.m. (twenty-first day).” That is very different than that which one would understand from the rubric in Kent. 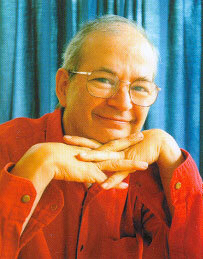 Stephen Messer, ND, who was in the audience, mentioned that he once looked for the original symptom for the rubric in the Synthesis Repertory, “Mind, seasons, autumn, mental symptoms aggravate in.” He said he found the original symptom in Allen: “Feeling of sadness and some disposition to tears, caused by an impression that he was soon to die and leave his friends; disposition to take a sad view of the beauties of autumn.” Once again, the original symptom appears to be quite different than one would understand from the repertory rubric. So it is important to verify the rubric in the original sources—the provings. But there is even another problem doing that. We know that many of the provings done with crude (non-potentized) doses contained both a primary action and a secondary action—for example, the wakefulness of Coffea is followed by sleepiness. Both primary and secondary actions are contained in the proving. Yet Kent did not differentiate between these in his repertory. One of the comments that Winston shared from Dr. Gypser is that if you prescribe using the symptoms of the secondary action, you’ll get a palliation but not a cure. So to make the repertory even more accurate as a tool for prescribing, one has to go through it and take out (or at least mark) the secondary action symptoms. This then leads to a closer look at the provings themselves. Were the provers really healthy? Hahnemann’s son Friedrich had a back injury as a child and was deformed as a result. What symptoms do we get from Friedrich in his provings? Vertigo and backache! When looking at the repertory, one should look at the symptom and try to first find where it came from (by going to the original sources) and then decide if it is reliable. Commenting upon how the repertories are getting bigger and bigger, Winston quoted the English homeopath Nhoj Eel, who suggested that, “If we extrapolate the number of these additions which will appear over the next 50 years against book size we can see that by the year 2050 we can confidently expect the new repertory size to be 9 foot by 6 foot by 3 foot. Either this, or the repertory will remain Kent-sized and come complete with a microscope.”Although offered as a tongue-in-cheek commentary, there is certainly a grain of truth in it. We should be cautious about additions, and we should be aware of the shortcomings of the original—since all the newer repertories—Synthesis, Complete, and Phoenix—derive from Kent’s Repertory. Winston, once again, impressed me with his encyclopedic knowledge which appears so effortless to access. It was an informative and entertaining presentation. Time to go home and start looking at my Kent Repertory with new eyes! ……………………………………………………….When old ideas which are antithetical to Homeopathy (as defined by its founder) are promoted as the latest developments in the art, leaders may well feel obliged to speak up. and wonder, “…rather should we experiment and test what is true and effective in Homeopathy today?” I can’t resist responding to this question with another question: has something about disease and healing so fundamentally changed that today’s Homeopathy must be different from that of previous eras? What was this event, when did the change occur, and how must Homeopathy therefore change? meaning and importance of Hahnemann’s inductive logic, relative to “other ways of knowledge.” The implication is that these principles are simply one man’s ideas, to be tested and improved in the course of time, along with the ideas of many other theorists and thinkers. I would respectfully suggest that these concerns show a failure to grasp the true stature of this man and his work, and the extent to which recorded experience has long since verified his teachings. Inductive methods are indeed valued over others in Homeopathy, due to Hahnemann’s awareness of the long history of false hopes and dead ends in medical approaches which relied on other sources of knowledge such as deduction and intuition. The very relentlessness that makes his chastisements sound so harsh also drove him to painstakingly work out an inductive approach to healing which differs in logical type from any other before or since. This fundamental distinction is the basis of its superiority over the standard medicine of his day (and of our own), and the reason that repeated attempts to amend it, lacking the inductive foundation, have never been acceptable as extensions of his work. Some ask whether “…we must reject and denounce the premises of Electroacupuncture by Voll, radionics, medical psychics, Jung, Whitmont, shamans, and Rife as folly and quackery?” I think the best response here is to quote Jesus: “By their fruits you shall know them.” Many traditions and individuals have touched on certain aspects of the territory, and of course conventional medicine has accumulated masses of fragmentary data. Homeopathy, however, offers us something qualitatively unique: a comprehensive map including a system of principles that illuminates the energetic basis of disease and health, sets out an effective method of removing illness, provides a way to understand the process, and applies to every curable case. The “advances” and “innovations” in question do not build on the principles, but ignore and contradict them. 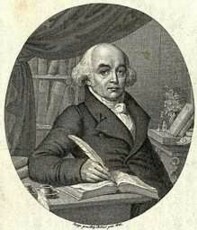 Hahnemann was well-acquainted with the medical hypotheses of his day, which included the doctrine of signatures and the use of compound chemical medicines chosen for the presumed activity of their constituents. He clearly repudiated both of these ideas as clinically unreliable and logically inconsistent with the empirical foundations of Homeopathy. This is not string theory, nor rocket science—it is more like trying to use mud and thatch to build a new wing onto a structure made of marble and granite. when Kent proposed it 100 years ago, and it is still an instance of putting the theoretical cart before the empirical horse. “Hahnemann indeed provided us a true compass to find our way in healing humanity. Though the principles of Homeopathy he expounded are not broken and are still reliable, it isappropriate to question their immutability and infallibility.” This passage strikes me as contradictory. Either the principles are reliable and fully proven, or not. How does one see it—“broke,” or “don’t need fixing”? Does the compass need to be verified again at each use, or can we count on it tomorrow, as we did yesterday? Why has Homeopathy’s history been so marked by recurring conflicts between strict Hahnemannians and those who wish to redefine and transform the discipline? I suspect that there are three major factors which motivate the advocates of transformation: the search for short cuts, the creative urge, and self-promotion. None of these motivations are evil or unusual, but each puts “the physician’s high and only mission” at grave risk. Better education for homeopaths, grounded in the principles and promoting critical thinking and high standards, is urgently needed to act as a restraining influence on these natural tendencies. As a culture, we are entranced with newness. We confuse novelty with significance, knowledge and cleverness with understanding. We expect constant updates and revisions, the periodic appearance of revolutionary new paradigms replacing all that came before. The impact of this obsession is at least as problematic for Homeopathy as for other areas of science, technology, and the arts. While the data of Homeopathy will continue to be updated and revised, its foundation ofessential principles is deeply rooted in the bedrock of Creation. The law of similars, proving of medicines, potentization, single remedy, minimum dose, hierarchy of symptoms, miasmatic basis of disease—there’s very little need to revisit these points. We can count on them. It rained in Palma Mallorca yesterday. I took a long walk in it to remind me of what Im heading back to. The rain gave me time to think about how to explain Hahnemanns methodology in ascertaining prescribing symptoms through his instructions in the Organon. It is very clear in each section (aphorism) but it is not until ALL the instructions are put together and looked at collectively, does it become absolutely clear for each case. Only by keeping this in mind whilst looking at the other instructions given in the Organon can we see what we are looking for in selecting symptoms for prescribing. 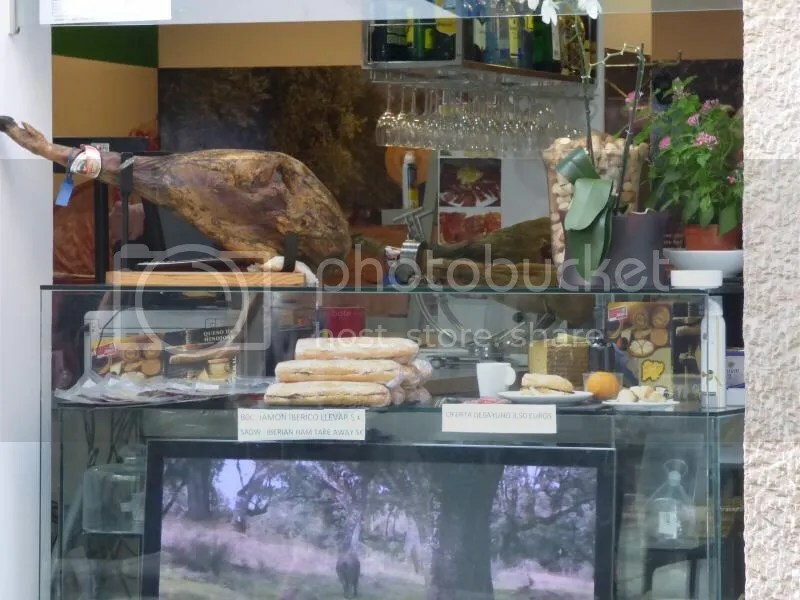 When I got back from my walk in the rain, I spent a couple of hours putting together a lecture for the Seville Seminar in October explaining this…..
Members of the I.H.M. in the main use the Therapeutic Pocket Book of Boenninghausen, The reason for this is because Boenninghausen managed to create the perfect tool to facilitate Hahnemanns methodology in case taking. This again will be explained in detail at the seminar. It has been a strange month. The seminar season started well and hopefully will continue, however on another level, the plans to expand physically into Spain have hit a stumbling block. Firstly, the world economic situation is much worse than most realise, and the sponsorship we had in place has been put on hold for at least 12 months. The I.H.M. have opened the International Register for Hahnemannian Homoeopathic Practitioners. The I.H.M is not making a political organisation out of the Register. It will just be a list of practitioners some who hold medical qualifications and some who do not, but whom practice in the Hahnemannian method. Currently there is no charge for this service. The Register link can be found at the top of the front page. Today is a festival day here in Mallorca and everything is closing early. Im currently enjoying cafe con leche and an ensaimada. A little overcast today but a welcome relief from the 34C weather of the last 2 weeks. Apologies for the lack of posts, issues with internet and time and many meetings. Next week we will be able to catch up.